This work shows changes in Chyšecko and Vlksicko regions during previous 80 years. It is concentrated on demographic development, environment, countryside and well-known personalities in this region. 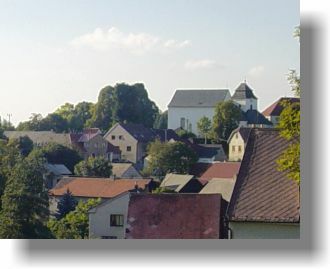 Chyšecko region lies in the Czech Republic, in the northern part of South Bohemia, on the border of four former districts: Písek, Tábor, Příbram, and Benešov. 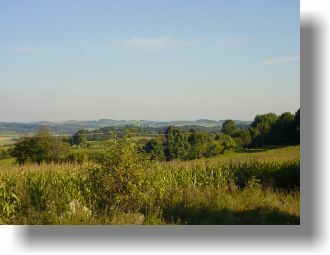 The highest point of this region is the wooded hill called Kozlov, the lowest part is situated near the confluence of Dobřemilický Potok brook and the Smutná river. From the geographical point of view the whole region has a hilly relief. Geological base is formed by eruptive rocks, soil is mostly poor here. Dobřemilický Potok brook or Branišovský Potok brook belong to the longest water flows in this region. There are also several small ponds, for example Chyšský and Lhotský. In this area we can find two climate zones - cold zone, which is more typical for Czech border mountain ranges, and temperate zone. To the north of Chyšky there is a protected area Hodkov> with original beech growth and a lot of juniper trees. Originally wooded countryside> has been changed to the agricultural-wooded one. There are many slopes, which obstructs the higher cultivation and that is why this area is mostly used as meadows and pastureland. Chyšky. is the largest village in this region. This village now merges 20 original settlements with 1100 inhabitants. It lies 673 m above sea level. 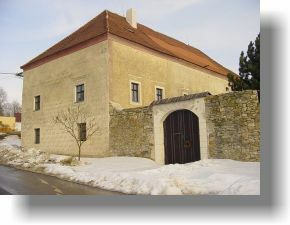 The first mentions of Chyšky come from the 13th century. The most significant sight is the parochial church of St. Procopius. Another village - Vlksice lies in the long valley formed by Dobřemilický Potok brook, 200 m lower than Chyšky. Vlksice with three connected settlements has 140 inhabitants. In Vlksice we can find a fortified settlement with remainders of rustic-work. Due to not much developed industry the main value of this region is a very well preserved countryside with unspoiled nature balance and with clean atmosphere, which occurs here also thanks to the high position above sea level. The hilly landscape is surrounded by woods and small groves and that is why the countryside attracts tourists both in summer to do walking and cycling and in winter to do cross-country skiing and also downhill skiing.